Traditional outdoor grilling was all about putting some burgers, steaks or sausages on a charcoal grill and then serving them in a bun, with condiments such as tomato ketchup or mustard. Yet, in recent years it has become fashionable to barbeque other foods, such as fish, vegetables and other small-sized and delicate items. However, the wide gaps in BBQ grills mean special utensils are needed to cook small or delicate items like fish and vegetables. 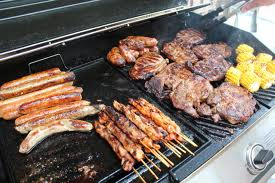 Barbecuing these foods using special perforated equipment, such as frying pans, stir woks and grill grids, prevents them falling through the grill and makes it easy to transfer them onto and off the BBQ, but retains the distinctive cooking effects of barbecued food. The perforations allow heat to rise evenly into the pan and add the smoky aroma of outdoor grilling and rich flavor to kebab meats, vegetables, seafoods and fruits. - BBQ cookware is notoriously troublesome to clean, however Lotus Rock’s hydrophobic nano-silica coating reduces the problem. - Lotus Rock has a durable, natural non-stick release which will neither expire nor release toxic fumes when overheated. The sloped pan sears and browns beautifully, and its smooth surface makes it easy to stir and toss ingredients. In a wok different foods can be mixed together, under intense heat from the grill, the juices from meats or other fattier foods can permeate the mix. With the open curvature design and sloped sides, this grill pan prevents foods from falling into fire and allows easy removal of foods. Sets flat on grill grate Grill shrimp, scallops, or beef tenderloin or poultry, without skewers Handles make the transition on/ off grill super easy 15 1/4″L (19 1/2″ w/handles) x 11 1/4″W x 2 1/2″H (3″ w/handles) Weight: 4-lb., 6-oz. This grid can cook a variety of foods on your outdoor grill, from sandwiches and flatbread to small pieces of meat, chicken, seafood and vegetables. Efficient design makes it easy to cook different types of food simultaneously while keeping them organized on the grill. Perfect for slathering a slow-cooking rack of ribs with barbecue sauce, basting a roasting turkey with melted butter, or applying a glaze of maple syrup to grilled peaches. 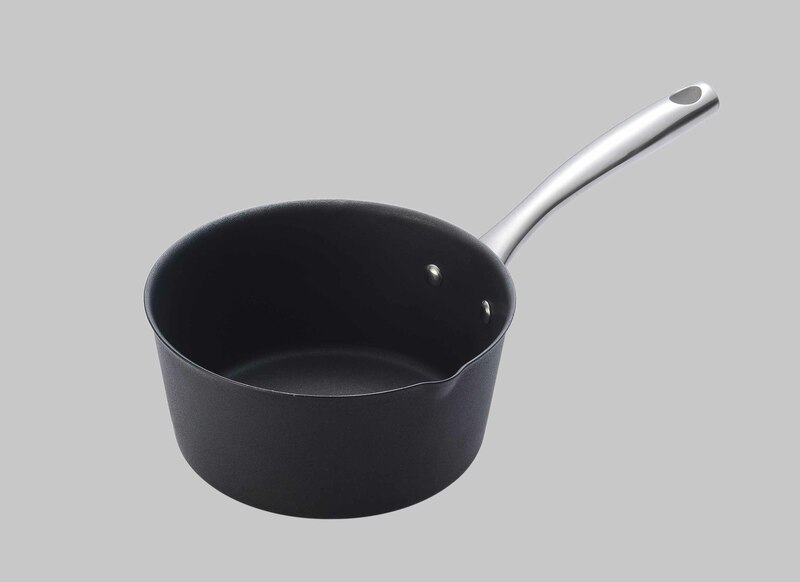 Heavy gauge steel pot, with innovative PTFE free Lotus Rock non-stick coating. Basting pot is heat safe to 650 degrees and can be placed directly on the grill or in the oven to keep basting liquids hot. A common complaint with grilling outdoors is that the high heats of the open flame can make it difficult to control the temperature, and tender vegetables like asparagus can char and overcook easily. 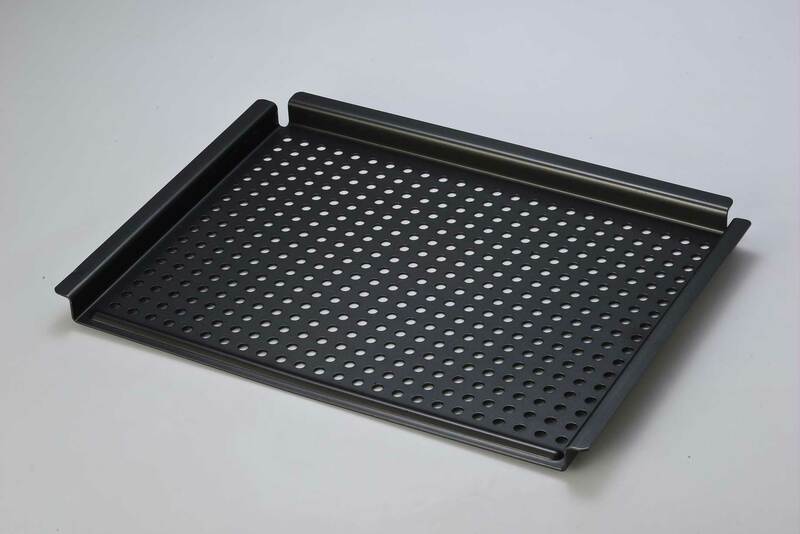 However, this problem is significantly reduced with Lotus Rock BBQ items because they all have a thick carbon steel construction (2.0mm) which keeps all food an ideal distance from the fierce heat below. As well as creating a buffer between the food and the flame, the thick carbon steel gauge of Lotus Rock also conducts heat evenly and retains heat well to keep food hot for longer. The handles of the Lotus Rock BBQ stir wok, fry pan and the grill roaster are easy to grasp and make it simple to transfer the pan on and off either a charcoal or gas griill, even when wearing bulky grilling mitts. This makes the process of outdoor grilling safer and it reduces the chance of the food being burnt or overcooked because the food can be removed from the grill quickly. Lotus Rock’s durable non-stick release, strong construction, and easy-to-clean coating mean these BBQ utensils can be used for a number of years, and not just for one summer. Lotus Rock BBQ pans don’t have to be re-seasoned, and as long as they are always kept dry and cleaned after each use no rust should appear on them. Why is a Lotus Rock pan so easy to clean? The modern day consumer is often a person with a busy and hectic life who after a hard day at work enjoys the experience of cooking. However, once all the cooking is finished no one likes to spend too much time cleaning the pots and pans. Having an easy-to-clean cookware utensil not only lessens the stress in cooking for a consumer, but also maintains and prolongs its quality. Popular materials for cookware include stainless steel, cast iron, copper and aluminum, but while each of these does have significant advantages for cooking, they also have particular disadvantages for cleaning. Easy to clean? Difficult: because there is no natural or artificial coating on the surface, food tends to stick easily, making cleaning quite hard. - Stainless steel is prone to stains from heat and hard water. To remove them, the consumer should apply white vinegar with a soft cloth and rub. - Stainless steel always needs to be dried thoroughly after washing to prevent a film from forming. - Occasionally stainless steel may exhibit a rainbow-like discoloration; lemon juice should be used to remove this. Easy to clean? Difficult: avoid using the dishwasher, soap or steel wool, as these may strip the pan’s seasoning. Easy to clean? Very difficult: copper cookware should be cleaned regularly, inside and out, to retain the cooking properties and looks of the shiny copper. - Abrasive materials or scouring pads cannot be used as they will scratch the lining on the copper. Copper is toxic, so copper pans are lined with a metal to prevent the food touching it. Scratching the lining off can be harmful to your health. Easy to clean? Moderate: some consumers have complained that after a certain amount of use dark ‘blotches’ appear on the bottom and are very difficult to remove. - Anodized aluminum cookware is generally not dishwasher-safe, and steel wool and other hard abrasives cannot be used on the surface. Easy to clean? At first yes, but over time it becomes more difficult as the non-stick coating begins to fade and food begins to stick on it. - It is important to wash pans thoroughly after each use. - Steel wool and other abrasive cleansers cannot be used when cleaning non-stick cookware. As is demonstrated above, the main materials for cookware in the market today all have significant problems with cleaning; none of them, apart from non-stick coatings when still new, is easy-to-clean. One of the important benefits of Lotus Rock cookware is that it is very easy to clean. The nano-silica coating on Lotus Rock pans, like a Lotus leaf, is hydrophobic – it repels water. Although the surface of the Lotus plant looks smooth, it is in fact very rough and is covered in micro-lumps and bumps of protruding epidermal cells, which in turn are covered by wax crystals. These wax crystals are hydrophobic (water-hating), which means that the water only makes contact with the leaf at the top of the lumps. This forces the water into spherical droplets (as the picture below shows). At even a slight angle these droplets roll and tumble taking dirt particles along with them. This self-cleaning process is called the Lotus Effect. Because there is no protective layer on the surface it is very easy for food to stick to stainless steel and copper cookware, so the consumer needs to scrub the food off quite vigorously. Large blotches have been known to appear on both the interior and exterior of anodized aluminum pans, which have been difficult for consumers to remove. Lotus Rock, however, is very easy to clean because of its hydrophobic nano-silica coating, and neither hard scrubbing nor use of a dishwasher should be necessary. When cleaning cast iron cookware, consumers have to be careful not to rub off the seasoning which protects the pan from rust. Lotus Rock’s hard ceramic interior and its nano-silica coating are steel wool-resistant and difficult to scratch or damage while cleaning. PTFE non-stick coatings do provide a great surface for easy cleaning, but with intensive use the coating will gradually lose its non-stick release and food will stick on it, thus making it harder to clean. Lotus Rock in contrast has a durable non-stick release which will not fade over time, because the nano-silica coating is not only hydrophobic but also lipophilic – fat loving. Each time the consumer adds cooking oil to a Lotus Rock pan (as shown below) the coating’s non-stick release will renew itself. Fast heating effect. 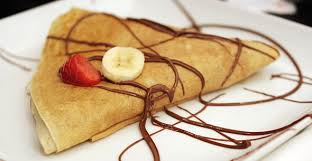 For a delicious, tasty crepe the whole cooking process should not take any longer than 80 seconds; 60 seconds at first, and then 20 seconds after the crepe has been flipped over. In order for this to happen most effectively the crepe needs to be on a pan that heats up quickly – carbon steel, the substrate for all Lotus Rock pans, is ideal for this. None of the other commonly used substrates, such as aluminum*, stainless steel, cast iron and copper, heats up as quickly as carbon steel. *A big disadvantage about aluminum is that even though it does spread heat evenly around a pan extremely well (only copper is better at doing this), it heats up much slower than carbon steel. This means the crepe will not be as crispy and tasty as it could be if it is cooked on a Lotus Rock pan. In fact, a crepe cooked on an aluminum pan could easily be overcooked or become rubbery. Heat dispersion. Although carbon steel does heat up quickly, it does so in the centre of the pan. If the gauge of the carbon steel crepe pan is too thin then the outer edges of the crepe pan will cook much slowly than the centre, meaning either the centre is burned or the edge of the crepe is undercooked. Because Lotus Rock has a thick 2.0mm carbon steel gauge and a thick coating on top of that, the pan heats up quickly but also evenly. This creates the perfect heating effect for a delicious, appetizing crepe. Heat retention. Although crepes, because of their thin nature, should not have too much of a thermal load, and thus not reduce the temperature of the pan much, a good crepe pan should still retain as much heat* as possible while cooking. If it does then by the 2nd or 3rd crepe the pan should reach a suitable and stable temperature to transmit heat effectively to the batter to create a better tasting crepe. *The only other metal substrate which retains heat better than carbon steel is cast iron. However, cast iron is extremely heavy, so some people will find flipping more than a few crepes a bit troublesome. Easy clean-up. 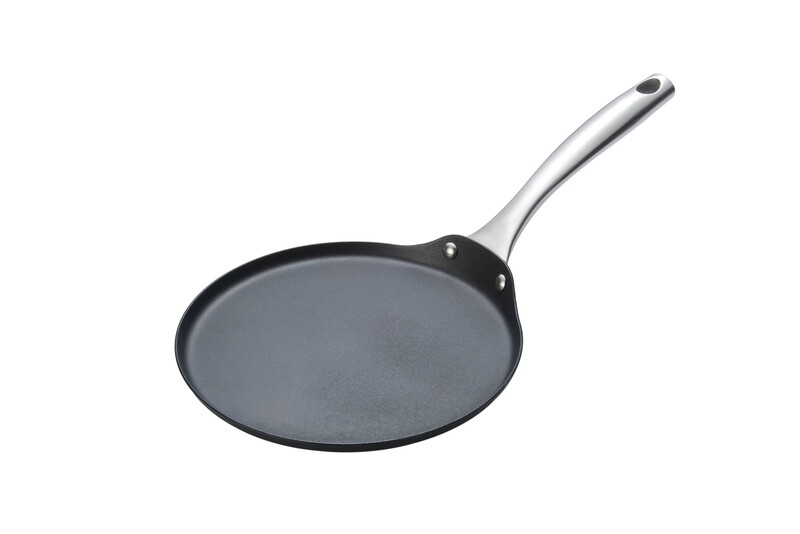 A lot of crepe pans in the market today are produced with carbon steel or cast iron but are uncoated. This means that the customer has continually to re-season the pan which some cooks find time-consuming and complicated. Moreover, consumers cannot use washing-up detergent or scrub too hard on the pan’s surface, because that might remove the natural non-stick patina that forms on crepe pans after some use. 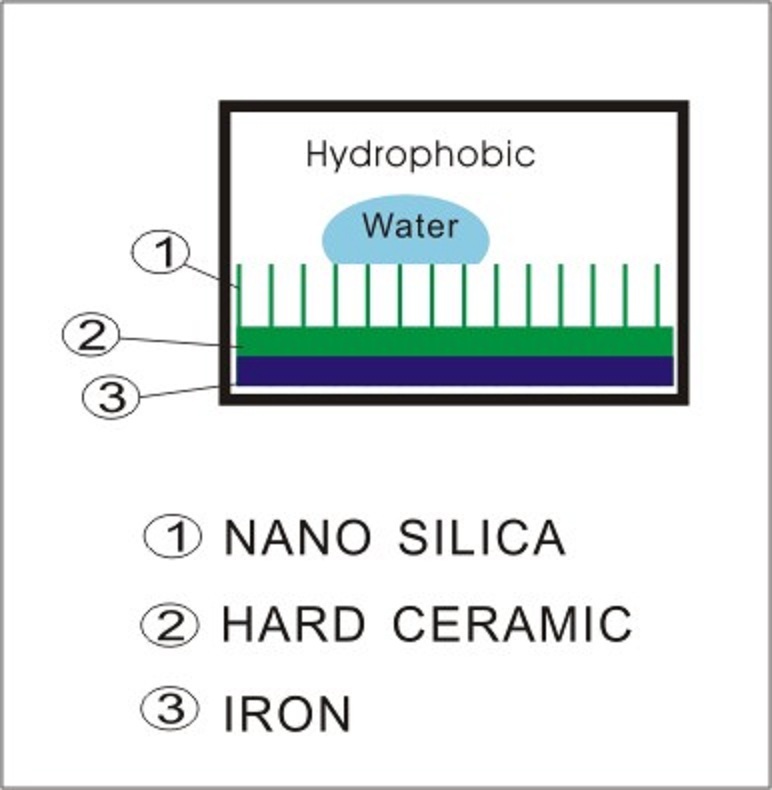 On the other hand Lotus Rock hydrophobic nano-silica coating is extremely easy-to-clean, with any type of washing-up liquid or abrasive pad. - Induction safe. This type of cooking top surface is particularly suitable for cooking crepes, which need to be cooked quickly, because induction stove tops transmit heat much faster than either gas or electric. - Metal utensil safe. A metal spatula can be used for flipping the crepe without damaging the coating. - Low sides. This is especially useful for easy removal of crepes. - Other uses. Lotus Rock crepe pan is also ideal for heating up tortillas, acting as a griddle for pancakes, and for making other delicious items such as Indian flatbread and Omelets. A Lotus Rock crepe pan is sold in a 24cm, 26cm, 28cm and 30cm sizing. With the hollow cast stainless steel handle above the pan is oven safe to 650 degrees Fahrenheit and it is broiler safe. It is suitable for all cooktops, including electric, gas, halogen, ceramic, glass and induction. After limited use a Lotus Rock crepe pan can be used in a dishwasher, but a regular hand wash is recommended. Despite the health risks of PTFE-based coatings and the distinct problems associated with the long-term quality of the coating, as was explained in a previous blog post ‘Lotus Rock vs other non-stick coatings’, PTFE is still the most popular non-stick coating used today. Lotus Rock has numerous advantages compared to PTFE, and in order to demonstrate some of them we have carried out a fried-egg test using two pans, side by side, one from our Lotus Rock collection and another from a well-known, widely sold pan which uses a PTFE coating. The purpose of the test was not to demonstrate that Lotus Rock has a better non-stick release than the PTFE non-stick pan. PTFE non-stick coated pans have been used in households all over the world since the 1960s; the quality of the non-stick release is not doubted. The test did not use more than two eggs per pan because we know that PTFE would easily win a contest to determine which pan could cook the most eggs before sticking. Instead the aim of the test was, first, to demonstrate that the Lotus Rock pan’s non-stick release could, for two fried eggs, match that of the PTFE-coated pan. Second, to show that Lotus Rock could fry an egg much faster than a PTFE-coated pan. And third, to examine the quality of the fried egg to see whether there was any discernible difference between use with a Lotus Rock pan and that of a PTFE pan. Both pans were 24cm in diameter, with a bakelite handle welded to the pan. Neither had been cooked with beforehand; they were both brand new. A ceramic cooking-top surface was used for both pans. It is generally agreed among cooking experts that the optimum temperature for cooking is between 140-180 degrees, so it was at this temperature that each egg was first released into both pans. The test can be seen in the video below. As the video clearly demonstrates, the quality of the non-stick release of the Lotus Rock pan for two fried eggs was equal to that of the PTFE pan. A hairdryer was used on both pans to show that the egg had not stuck to the pan. Even when the hairdryer could not easily lift the egg away from the pan, a spatula could be used without any of the egg sticking to the pan. - Heating effect. A normal PTFE coating is sprayed on either an aluminum or a stainless steel substrate. Neither of these conducts heat as quickly as carbon steel. In this test the PTFE coated pan used an aluminum substrate. As you can see in the video, the eggs fried more quickly on the Lotus Rock pan, because carbon steel, which is the substrate used for Lotus Rock, conducts heat faster than aluminum. This demonstrates one clear benefit of Lotus Rock – it not only saves time and energy, but also has a superior heating effect compared to PTFE – the egg can fry and sizzle much faster, meaning that it is crispier and tastes better. In the video the fried egg on the PTFE coated pan has heated evenly and looks good, but because it was heated more slowly it is not as crispy and well-cooked as the egg on the Lotus Rock pan. A faster and better heating effect also enables the egg on the Lotus Rock pan to retain more of its vitamin content than the one cooked on a PTFE-coated aluminum substrate. - Scratch resistance. 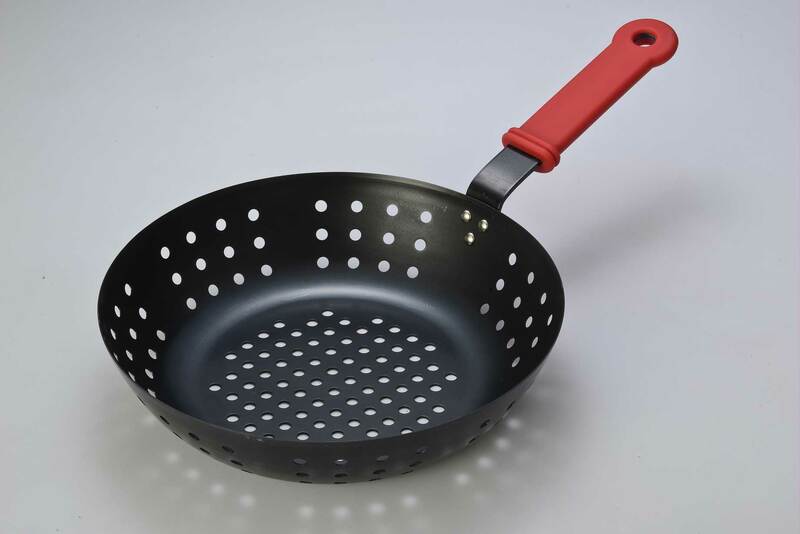 In the test a metal utensil was used with the Lotus Rock pan, but not with the PTFE pan. A big difficulty with PTFE is that over time the coating has been known to peel off – if a metal utensil was used daily on a PTFE pan than this would increase the likelihood of the coating peeling off. 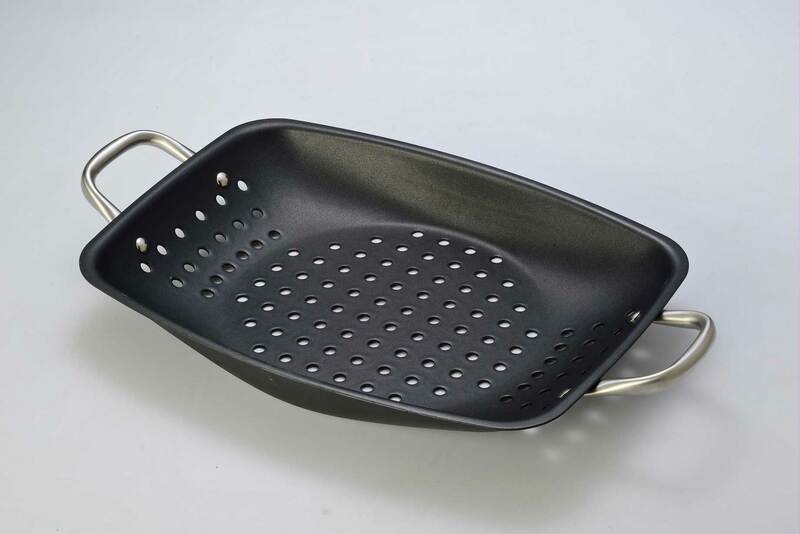 Lotus Rock however has no non-stick PTFE coating to be damaged, so the customer can use any type of utensil, metal, plastic or wooden, without worrying about impairing the surface of the pan. However, what most of these marketing advertisements don’t promote is the durability of their non-stick release. Their coating may well be able to release 60 or so eggs without sticking when the pan is first used, but what about after 6 months or a year? Can a frying pan with a PTFE non-stick coating still maintain the same non-stick quality after lengthy use, and after daily, intensive washing and scrubbing? When a customer first buys a non-stick frying pan it is unlikely that they will cook more than 3-4 eggs during its first usage, so being able to cook a dozen or more without any sticking is not really that useful. What most consumers want from a pan is an excellent non-stick release not just at the beginning of a pan’s usage, but over a number of years. It is exactly because a Lotus Rock pan doesn’t contain any PTFE, or any other chemical coating that gives an artificial non-stick effect, that Lotus Rock can claim its non-stick release is so durable. There is no non-stick chemical in the pan’s coating which can be damaged by either intensive cooking or a tough clean-up. If a Lotus Rock pan’s use & care instructions are observed its non-stick quality should still be the same 5 years from purchase. As was demonstrated in the blog post ‘Lotus Rock vs Other Non-stick coatings’, because Lotus Rock’s silicon-oxide crystal coating is lipophilic – fat loving – it has a highly durable, excellent non-stick release. However, just as with stainless steel, copper and cast iron cookware, the absence of a PTFE non-stick coating on Lotus Rock pans means the type of fat used should be an important consideration. Fats can be liquid or solid at room temperature. If liquid they are called are oils. Oils come from plants and fish. They are not a food group, but they do provide essential nutrients. Most oils are high in monounsaturated or polyunsaturated fats, and low in saturated fats. A few plant oils, however, including coconut oil, palm oil, and palm kernel oil, are high in saturated fats and for nutritional purposes should be considered to be solid fats. Solid fats are fats that are solid at room temperature, like butter and shortening. Solid fats come from many animal foods and can be made from vegetable oils through a process called hydrogenation. 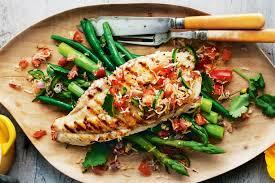 Many chefs and mums prefer to cook with butter, notwithstanding the fats associated with it, because it complements and enhances the flavour greatly, for example when sauteing vegetables. However, some people prefer to use oil because of the health benefits, and also for the range of flavors that it gives to the food. One big disadvantage of butter is that it is high in saturated fat. In layman’s terms, these are fats that cannot be broken down by the body and so are collected and stored in different parts of it. Eating too much food containing saturated fatty acids can cause health problems such as high cholesterol (a substance containing a lot of fat that can cause heart disease), which is why many dieticians suggest avoiding foods that contain butter. Generally cooking oils are seen as a better alternative because they have a higher percentage of unsaturated fats, both mono-unsaturated and poly-unsaturated, compared to saturated fatty acids, which are more prominent in solid fats such as butter. However, it should be noted that some cooking oils are healthier than others. For example extra virgin olive oil doesn’t have a particularly high concentration of saturated fat, but it does have a very high monounsaturated fat content compared to polyunsaturated fat. Polyunsaturated describes a fat or oil that has a chemical structure which, because it contains several double bonds, does not easily break down into cholesterol. However, monounsaturated fat has only one double bond and therefore can eventually be broken down into cholesterol, although much more slowly than saturated fat. In addition to concerns about high cholesterol, highly saturated fats, such as butter and olive oil, have another disadvantage – their low Flash Point or Smoke Point (the temperature at which an oil starts to evaporate, giving off gases that can be ignited). The smoke point of various fats is important to note because a fat which has exceeded its smoke point and begun to break down is no longer good for consumption. It is believed that fats that have gone past their smoke points contain a large quantity of free radicals which contribute to the risk of cancer. And of course the smoke itself, and the smell which often accompanies it, are unpleasant. Cooking fats with higher concentrations of saturated fats than unsaturated will have lower smoke points. Moreover, oils with higher proportions of mono-unsaturated fats than polyunsaturated fats will also have lower smoke points. This is why olive oil has a lower smoke point than sunflower oil, as the table above shows. Lotus Rock cookware comes in a variety of different shapes and sizes. The type of cooking fat used with them should suit the type of cookware – for example, different fats should be used in a stir wok and a paella pan. Cooking fats such as butter or olive oil are generally not advised for use with stir woks, as woks require fast cooking at a high temperature. This might be diffficult with butter or olive oil, which have a very low smoke point, so for a stir wok something like Peanut or Sunflower oil would be more appropiate. Conversely, for a paella pan, which requires food to be cooked for longer, on a lower temperature and with more produce to absorb the heat from the stove top, a cooking fat with a lower smoke point could be used, perhaps coconut oil.